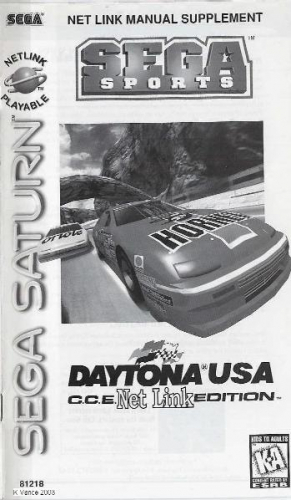 Get behind the wheel of your very own stock car and start racing with DAYTONA USA. Every car and track from the DAYTONA series is included. You can take on the challenges of a Single Race or try to unlock hidden goodies with the Championship mode. Now you can bring stock car racing right to your living room with DAYTONA USA. Take it online for one on one racing action with the Sega Saturn Net Link.